Daniel Epps was born in 1595 at Maidstone, Kent, England. He married Martha REED before 1622 in Wickford, Essex, England. Daniel died before 1637 in London, England. Daniel was a Gentleman of Ipswich, proprietor, town officer, attorney for his cousin Joseph Cooke in a suit in 1658. He resided in London in 1621 when his wife received a bequest from her mother’s father, Thomas Cooke, yeoman of Pebmershe, Essex, England. Martha Reade was born on 13 July 1602 at Wickford, Essex, England. She was the daughter of Col. Edmund READE and Elizabeth COOKE. After Daniel’s death, she married George Samuel Symonds in 1637. It was probably as wife of Symonds that the combined Epps-Symonds family emigrated to the Massachusetts Bay Colony. Also in this extended family are Martha Read’s two sisters. Her sister Elizabeth was the wife of John Winthrop, Jr., the son of Governor Winthrop, and one of the founders of Ipswich. Martha died in 1662 at Ipswich, Mass. George Samuel Symonds (aka Samuel Symonds) was born on 9 Jun 1595 at Great Yeldam, Essex, England. His parents were Richard Symonds and Elizabeth Plumb. He first married Dorothy Harlakenden on 2 April 1617 at Great Yeldam, Essex, England. He became a deputy governor of the Massachusetts Bay Colony. He married Martha Reade in 1637. After Martha died, he married Rebecca Swayne. George returned to England and died on 12 Oct 1678 at Earls Colne, Essex, England, at age 83. Other accounts state he died in Boston. Dorothy Harlakenden was born in 1596 Earl’s Colne, Essex, England. 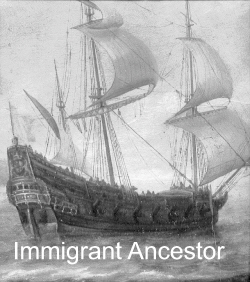 She and George Samuel had 10 children between 1621 and 1635. Dorothy died around August 1636 in Toppesfield, Essex, England. Rebecca Swain of Salisbury, first married Henry Byley of Salisbury, then John Hall of Salisbury, and next Rev. William Worcester of Salisbury, from whom the Worcesters of this Country are descended. Rev. Samuel Dudley, whose first wife was daughter of John Winthrop Sr., took as his second wife, Mary Byley of Salisbury, who was either brother, or near of kin to Henry Byley, one of the husbands of the much married Rebecca Swain-Byley-Hall-Worcester-Symonds. 2. Elizabeth EPPS 1623 James CHUTE Sr.
24 Jun 1661 – A Suit brought by Samuel SYMONDS against two servants, William Downing and Philip Welch, seeking release from their involuntary servitude which had exceeded seven years. Kelecrist Ros deposed that “When their master first brought them home, deponent asked William what Philip’s name was and he said it was Philip.” The suit presents a recital of young men who were “stollen in Ireland, by some of ye English soldiers in ye night out of theyr beds,” against their consents, “where there were divers others of their Country men, weeping and crying, because they were stollen from theyr friends.” The suit included a bill of sale dated 10 May 1654 from George Dell, Master of the Ship “Goodfellow,” to Mr. Samuell SYMONDS. Philip, also known as Edward Welch, was one of the 400 Irish children shipped to New England on the “Goodfellow” of Boston, George Dell, Master, on 06 Sep 1653. 6 Nov 1678: Samuel Symonds Will probated. Bequeathed to wife Rebecca all that belonged to her in England before marriage to him; also ample provision at his farm in Ipswich called Argilla, elsewhere, if she prefer; to sons Harlakenden and William; to son and daughter EPPS, she to have the “damaske sute which was the lady CHEYNIES of she desire”; to daughter Martha and her husband John Denison; to son and daughter Emerson; to daughters Baker and DUNKIN; to son CHUTE; to granddaughter Sarah SYMONDS; to wife’s granddaughter Rebecca Stace; son John Hale one of the overseers. Refers to brother Mr. Richard FITZ SYMONDS, from whom a legacy is expected for son Harlakenden. (3) Mentioned not only his own children, but those of his last two wives by their former husbands: “my dau. DUNKIN,” “my dau. HALE,” “my sonne John HALE,” “my sonne CHEWTE,” “my wives grand dau. Rebeckah STACY” (granddaughter of Rev. Wm. WORCESTER by his first wife). Daniel’s wife Elizabeth Symonds was born 22 Dec 1624 in Earls Colne Toppesfield, Essex, England She was his stepsister and daughter of George Samuel Symonds and Dorothy Harlakenden. Elizabeth died 7 May 1685 in Salem, Essex, Mass. Daniel’s second wife Lucy Woodbridge 13 Mar 1642 in Newbury, Essex, Mass. She was the youngest daughter of Rev. John Woodbridge and his wife Mercy Dudley, youngest daughter of Governor Thomas Dudley. She first married Rev. Simon Bradstreet, who was also a Governor of Massachusetts. 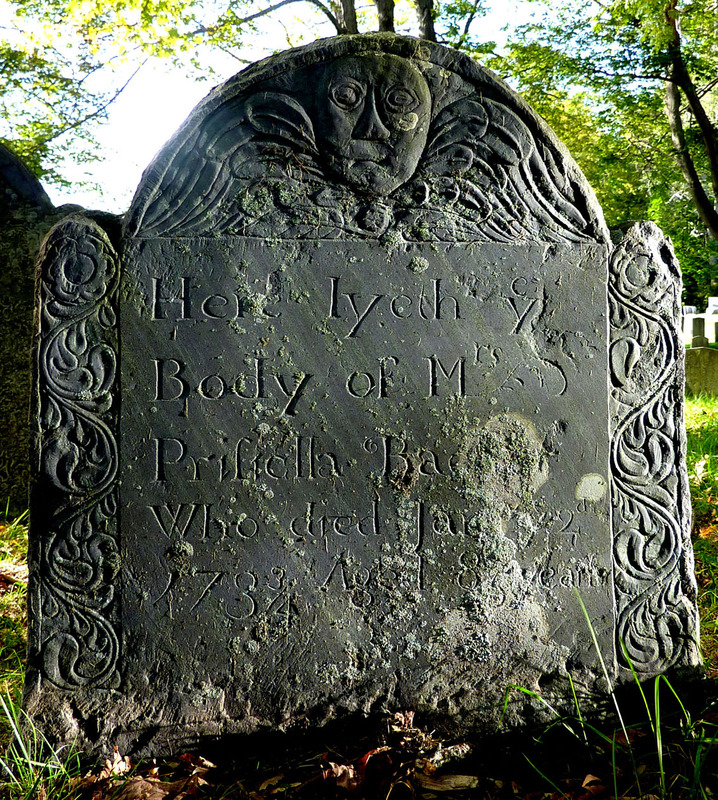 Lucy died 18 Jun 1710 in Medford, Middlesex, Mass. Mary’s husband Peter Duncan was born Sep 1629 in Exeter, Devon, England. His parents were Nathaniel Duncan and Elizabeth Jourdain. Peter died 6 May 1716 in Gloucester, Essex, Mass. Martha’s husband John Denison was born 16 Jan 1640 in Ipswich, Essex, Mass. His parents were Major General Daniel Denison and Patience Dudley, daughter of Thomas Dudley, Second Governor of Massachusetts. John died 9 Jan 1671 in Ipswich, Essex, Mass. Ruth’s husband Rev. John Emerson was born 26 Feb 1625 in Bishops Staffordshire, Hertfordshire, England. His parents were Thomas Emerson and Elizabeth Brewster. John died 2 Dec 1700 in Glouchester, Essex, Mass. Rev. John Emerson received a call to Gloucester and settled there as Pastor of the First Parish and remained about forty years. Mr. Emerson was freeman at Ipswich 19 Dec 1648; graduated from Harvard, 1656; was ordained 6 Oct 1663, and settled at Gloucester as the first minister of the town. There he remained till death. In July 1661, his salary was 60 pounds, “in corn, pease, &c.” In addition to his property in Gloucester, which included whole or part of three principal mills, he owned farms in Ipswich, probably inherited from his father. He left his large property to his wife, 40s. to his son, and 20s. to his daughters, “which I do give them in addition to what I have given them already.” He left three farms in Ipswich, on one of which a Mr. Emerson was tenant. John Emerson was a classmate at Harvard College of Increase and Eleazer Mather. He was one of the four who filled parts at Commencement in 1659, as candidates for a degree. The programme for that day survives. Mr. Emerson made his will 3 Feb 1697/98. It was probated 23 Dec 1700 and is recorded in Essex (Mass.) Probate Registry, vi., 98. Priscilla’s husband Thomas Baker was born 18 Sep 1636 in Norwich, Norfolk, England. His parents were John Baker and Elizabeth [__?__]. Thomas died 18 Mar 1718 in Topsfield, Essex, Mass. Thomas received from his father, in 1662, an estate in Topsfield, Massachusetts, becoming a freeman in 1665(9). He owned also Argilla farm in Ipswich. 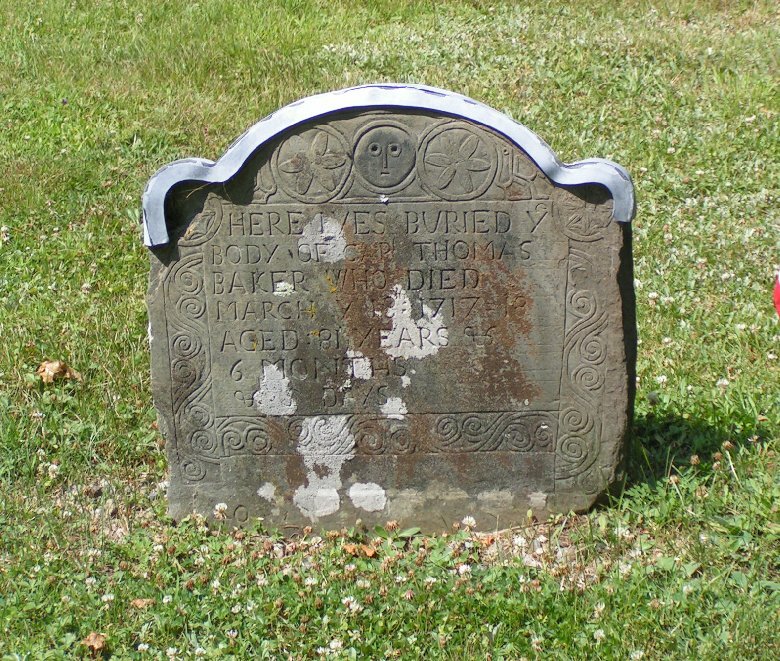 In 1666 he inherited from his brother-in-law, Obadiah Antrim, of Salem. He was several times a salectman from 1675 to 1700. In 1683 h became a lieutenant of a troop of 48 men, was captain in 1713, and was known as “Major”. He was a church member in 1684 and a member of the General Court for the town in 1683, 1684, 1686, 1690, 1692-4, 1698, and 1708; he was town constabe in 1688. This entry was posted in 13th Generation, Immigrant - England, Line - Miller, Line - Shaw and tagged Immigrant Widow, Ipswich - Pioneer. Bookmark the permalink. I’m descended from Elizabeth Epes (daughter of Capt. Daniel Epes) who married Joseph Procter (John Proctor’s great grandson) in 1768. Where do You and Alex tie in to the Procter and Epes lines ? We may be close cousins. I checked, my Proctor and Epps lines come together in my Great Grandmother Nellie Webber Coleman (1876-1947). She was an identical twin, just like my sisters. So how exactly ? Was her father a Proctor and her mother an Epes ? or vise sersa ? And what were their full names, and how many generations down from John Proctor ? Coat of Arms removed. In reality, Daniel Epps was not part of the gentry and did not have a coat of arms when he came to America.